A warm Scottish welcome awaits you at our modern spacious family home situated in a peaceful rural setting with panoramic views, 3 acres of garden and ample parking. 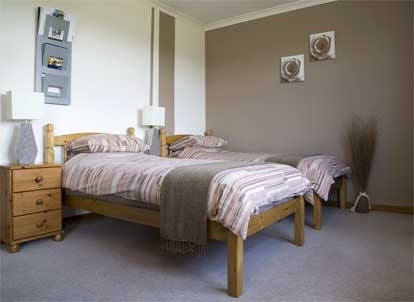 Tastefully decorated twin-bedded rooms offer tea/coffee facilities, hairdryer, (iron and iron board available on request). TV lounge, bathroom, separate shower room and separate toilet. 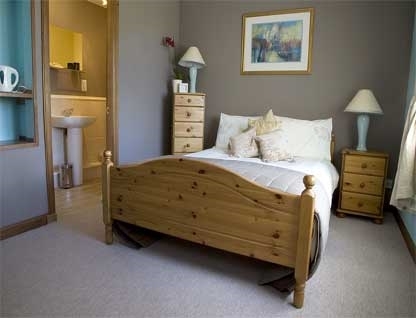 A hearty breakfast will be served - home cooked evening meal available by arrangement only. 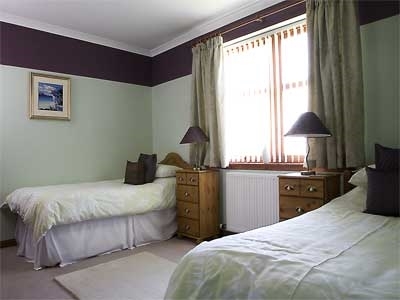 We are close to Stonehaven town amenities, within touring distance for Aberdeen and Deeside. Nearby we have Dunnottar Castle, Stonehaven outdoor swimming pool, nature reserve, golf courses, making the location ideal when taking a walking, cycling, touring or golfing holiday. Mountain bike hire available.